Karan may taste more success on small screen; commitment issues in love may continue to haunt him! 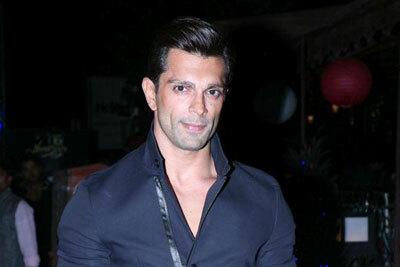 Karan Singh Grover – the sturdy and charming model-actor has been one of India's most famous television actors, who has even set out into the Bollywood territory with an impressive performance in his debut film Alone. This actor has had a very eventful and progressive career, with a lot of successful outings in some of the most popular television shows like Dill Mill Gayye, Qubool Hai and various others, for which he has won a lot of accolades and awards. 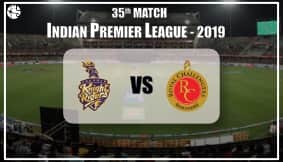 He is one of the highest paid Indian Television Celebrities and enjoys a loyal fan-following, especially among the youth. This actor with the solid masculine appeal, has had a somewhat intriguing history, as regards his relationships. His first marriage was to the popularity TV actress which ended in a divorce in just 10 months. Then he married the pretty Jennifer Winget in 2012, also a popular television actress, but even this bond was a short-lived one, as both of them opted for divorce in 2014! Then we all came to know about the sizzling chemistry between him and Bipasha Basu. But then, what do the planets indicate about Karan and his future in the times to come? Will he be able to establish himself as a more prominent actor in Bollywood? Will he be able to marry for the third time and if yes, then will he be able to walk down the aisle with Bipasha? Let's find out! Karan Singh is born with Venus and Mercury in Capricorn. This indicates a comparatively slower progress in the field of arts and entertainment. While Venus in Capricorn indicates the necessity of hard work and perseverence in the field of arts, it also points towards higher possibility of success in the same field. As Venus and Mercury are conjunct, he will be good at dialogue delivery and expression. As Venus is Anyo Anya Neecha (debilitated by exchange), he will have to really work very hard. Venus' association with Mercury makes Ganesha feels that he will be more successful on smaller screen, rather than films. Ganesha feels that, due to the association of Venus with Mercury, Karan will taste more success on the smaller screen, rather than in films. His filmy journey may not be too memorable. Sun in Aquarius makes him humanitarian and free-spirited. He may be a bit unconventional in his thinking. He would be a sincere and hard working professional which will help him a great deal. He will be able to progress well due to his passion. While, he may not remain aggressive to take up many projects at once (as Mars is retrograde in natal chart) he will be able to go slow and steady in the field of arts. Owing to the retrograde Mars, he may not be too quick to jump on to new offers, but will be able to enjoy slow, but steady advancement in the field of arts. Moreover, it may be somewhat difficult for him to bag big banner projects. Association of Venus with Mercury strongly indicates chances of more than one relationship in life. Venus is in the sign ruled by Saturn and Saturn is in Venus' sign of debilitation. This factor indicates chances of facing troubles in love life. He will have to be careful about his image when it comes to women. Although he may be a sincere lover and a very honest person, he may be considered as instable in case of relationships. There will also be commitment issues in his relationships, foresees Ganesha. It's very tricky to predict a third marriage based on incomplete birth details. Bipasha is born with Venus in Scorpio and Karan Singh is born with Venus in Capricorn. 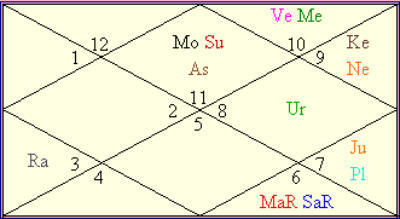 Karan Singh's natal Ketu in Sagittarius falls on Bipasha's Sun, Mars and Mercury. This is a weak contact point between the two horoscopes. They would be better of as friends, feels Ganesha – considering the position of Venus in both the Horoscopes. Ganesha feels that it can be a very mature friendly relationship, but the chances of them walking down the aisle are lesser. Karan may be repenting over previous marriages not working out, but he may still be far from realising his mistakes. Wisdom regarding personal unions is likely to dawn upon him after October 2017 as his Jupiter is in Libra (natural 7th Sign of Unions as per the Universal Zodiac) and Jupiter will be transiting over his Natal Jupiter for about an year from the aforesaid period.